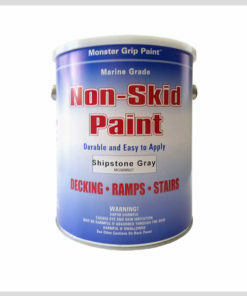 The Original Non Skid Paint for your boat, slip and fall safety solution, economical, durable epoxy, strong bond, flexible, quick dry, and easy to apply. 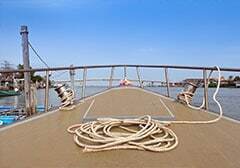 Non Slip Coating marine epoxy bonds well and sticks to aluminum, fiberglass, wood, concrete, and metal. 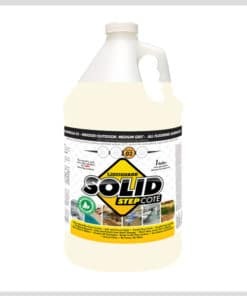 Easy One Part System – Anti Skid Paint instead of carpet marine epoxy premixed with grit and maximum coverage, 200-300 sq. ft. per gallon. 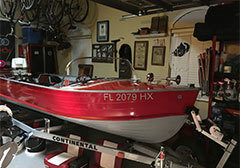 The most cost-effective, long lasting, non slip coating for your boat restoration project. Super Cost Savings – Maximum coverage #200-300 square feet. 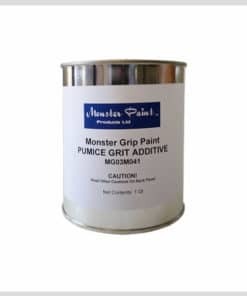 All other products require a minimum 2 gallons or more to equal the same coverage plus cost of primer coat. 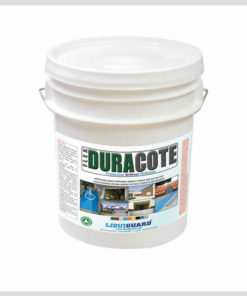 Sure-Footing Traction Grip, Marine Grade Strong Epoxy Coating for your Safety, Security, and Peace of Mind. If you get hurt, who will do your job? Your ability to earn a living depends on you staying safe! Metal Non-Skid Paint for Scissor Lift, Aluminum Ramp, Trailer Floor, Lift Gate, Truck Step, Tool Box, Metal Diamond Plate. 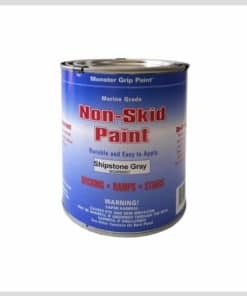 Non-Slip Paint instead of carpet for Aluminum Boat, Pontoon boat, House boat, Jon boat, Catfish rig, Bass boat, Waterfowl boat, Duck boat, Canoe, and Kayak. Get a grip on all things safety. 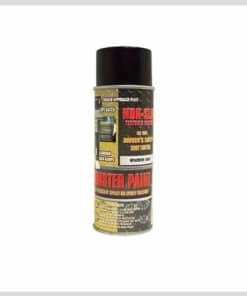 I have used the Non-Skid Paint product several times on our charter boats over the last 5-6 years and it really works great! The Non-Skid Paint lasts for a few seasons and then we just clean the surface good and apply a fresh new coat to bring back the non-slip traction texture. 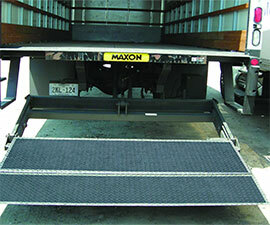 It is easy to apply and does a good job preventing slip and fall injury accidents. While not taking the skin off bare feet like other more abrasive coatings can do. We find that mixing the Non-Skid Paint (gallon) Shipstone Gray with one (Quart) Polar White together makes a pleasant lighter shade of Gray. Once applied it helps keep the deck surface area from getting to hot in direct sunlight exposure during those really hot summer days. I just had to let you know that the Non-Skid Paint is an awesome product. 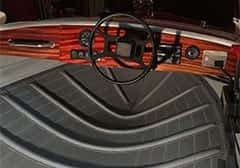 I recently painted the inside and out of my 1956 Hillsburg boat and the deck and cabin floor where so slippery, it certainly wasn’t safe. 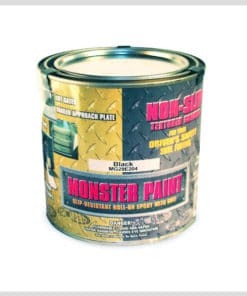 Then I purchased a gallon of the Non-Skid Paint. It was so simple and easy to apply, I just used a pan and 3/8” low nap roller… like any other paint job. It was dry within several hours and its appearance on the deck and cabin floor is beautiful. As owner of Ackerman Marine Services, I’ve painted quite a few boats but this was the easiest (and inexpensive) project I have ever done. 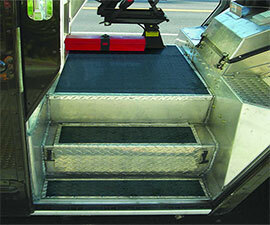 It is a remarkable safety product that can really help reduce slip and falls. 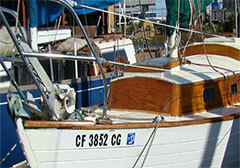 I am really impressed and will recommend it to anyone who is thinking about painting their boat. Our experience with the Non-Skid Paint product application around the Oceanside Harbor, and its performance and durability. 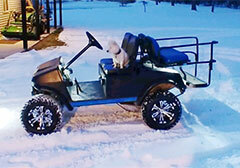 We have used the product for several years in a couple different ways. 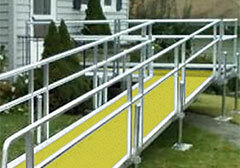 Primarily we are using the Non-Skid Paint (Shipstone Gray) on the wood dock ramps. 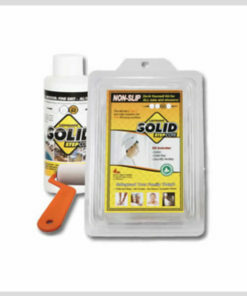 We find the product easy to apply, it adheres well, and is very durable. We have also used the Non-Skid Paint (Blue) for our deck coating around the upstairs office. 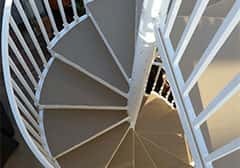 The product provides the slip-resistance we need, looks good, and does not discolor in direct sunlight. We also like the fact that it is a (water base) marine epoxy which helps with keeping hazardous material storage to a minimum. We at the Oceanside Harbor are looking forward too many years of product use and as many different applications as we may find. We have all experienced the anxiety and strong feeling of fear when you lose your footing and slip & fall on a wet surface. And in the worst cases you can really hurt yourself. Let me tell you that is a feeling you do not want to experience ever again! Our non skid paint safety with super strong epoxy binders will eliminate your slippery surface, provide you the safety, security, sure footing, and peace of mind you deserve and expect. 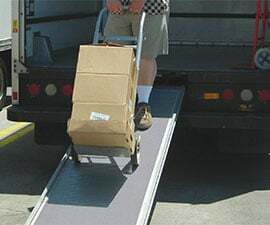 Costly Slip and Fall Injury Accident. Your proactive injury accident prevention action plan. Reduce injury accidents, personal liability, workman’s comp claims, employee lost wages, retraining, higher insurance premiums, and the list goes on. Get a grip on all things non skid paint safety.